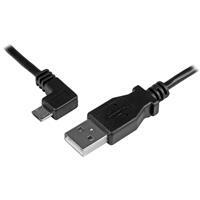 This 30/24 Micro-USB cable features 24 AWG wire, to provide the full power you need to charge your mobile devices faster. Plus, the left-angled Micro-USB connector is great for charging your mobile devices in a car, or for accessing your mobile device while it’s connected to a wall charger or computer. Different phones and tablets require specific amounts of power to charge efficiently. A phone might only require 1.0A of power while a tablet may need 2.4A of power. 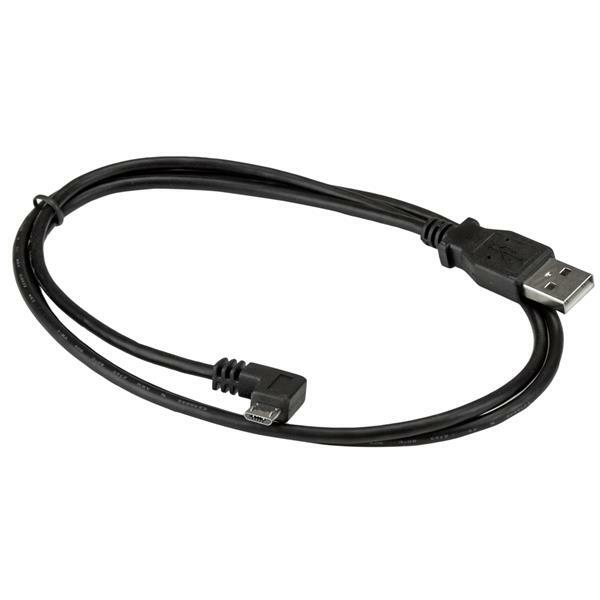 This 30/24 Micro-USB cable is designed to deliver full power to your mobile devices so that all of your devices can charge at the expected speed. 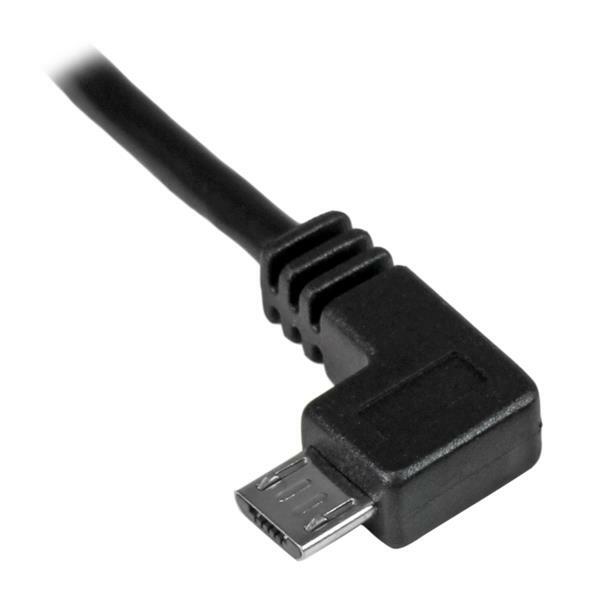 The left-angled Micro-USB connector lets you connect to ports that are difficult to reach, which is perfect for charging your car-mounted mobile devices. Even while you’re charging your mobile device, you can use it to text, work or game, without the cable getting in the way. 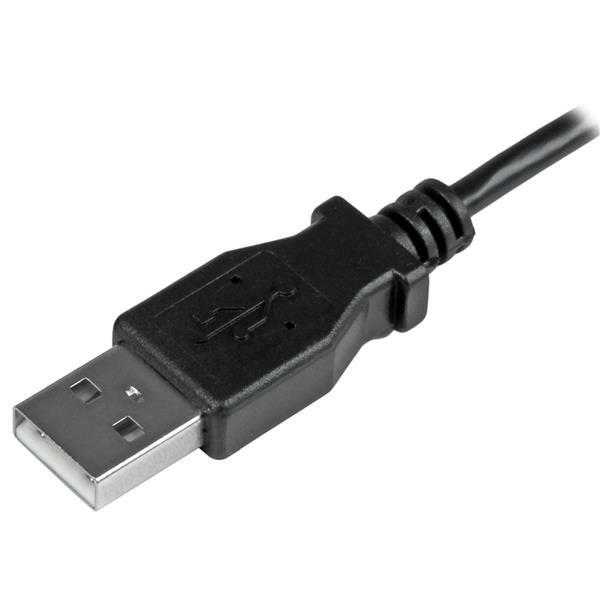 Replace the Micro-USB cable that came with your mobile device, or keep one as a spare while traveling so that your mobile devices will be ready to use while you’re on the road. The USBAUB1MLA 1-meter cable is backed by StarTech.com’s lifetime warranty for guaranteed reliability.